Peruvian Mink Curly Virgin Hair Extension is 100% Real Human Hair. Malaysian Straight is a premium quality Virgin Hair Extension. It will give you great look that stands you out. It is luxury Hair that last very long. Like all of Humanhairnigeria Virgin Hairs, it last more than 2 years. It has great texture and shine. It does not shed nor tangles. Peruvian Mink Curly Virgin Hair Extension is 100% Real Human Hair. Malaysian Straight is a premium quality Virgin Hair Extension. It will give you great look that stands you out. It is luxury Hair that last very long. 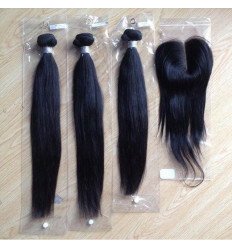 Lik all of Humanhairnigeria Virgin Hairs, it last more than 2 years. It has great texture and shine. It is 100% virgin Peruvian hair is soft and smooth and will retain its natural shine and vitality. HHN hairs are not mixed with any synthetic or animal fibers.